MakeBlock have announced a pink version of their popular mBot 1.1 programmable robot for children. 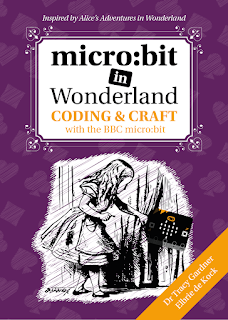 It's available to pre-order from MakeBlock. 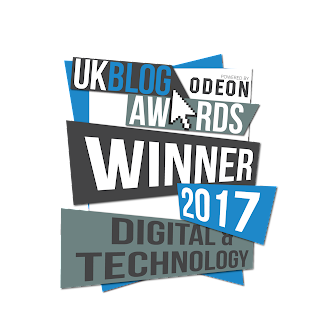 We're big fans of mBot, you can read our review of the new mBot 1.1 or our series of posts about Roby, the robot dog based on an original mBot robot. We backed the mBot Kickstarter and have a green mBot as well as a blue one. The green mBot was only available to Kickstarter backers. The pink one was available for a limited time afterwards. 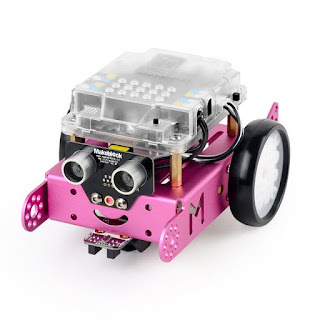 When the mBot 1.1. first came out it was available in blue only, now it's also available in pink. We do complain that so many robots are blue. Admittedly mBot is a very nice powder-coated blue and matches the rest of their range. But everyone knows that blue is marketing code for 'this product is for boys'. Only having a robot available in blue does put some parents off buying it for a girl and does make it seem like it has been made with boys in mind. We can argue as much as we like that this shouldn't be the case but currently it is. 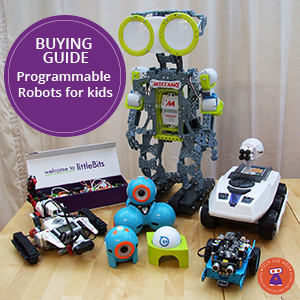 I've been asked by parents whether mBot is available in any other colours. 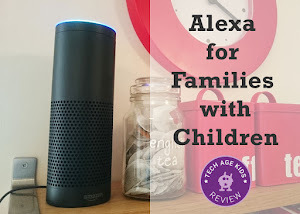 We don't think the long term solution is to make all tech toys in blue and pink. But having blue and pink is better than just having blue. And it does look like a very nice pink. Interestingly when I did a survey at school for a data collection lesson and there were more boys who said pink was their favourite colour than girls. But pink is marketing speak for 'this is for a girl'. It would be great to have a wide range of colours but each colour adds to production costs for a product like mBot. There's nothing about mBot itself that makes it more suitable to boys than girls. Hopefully this colour choice will make mBot appeal to a wider audience including boys who like pink as well as girls. 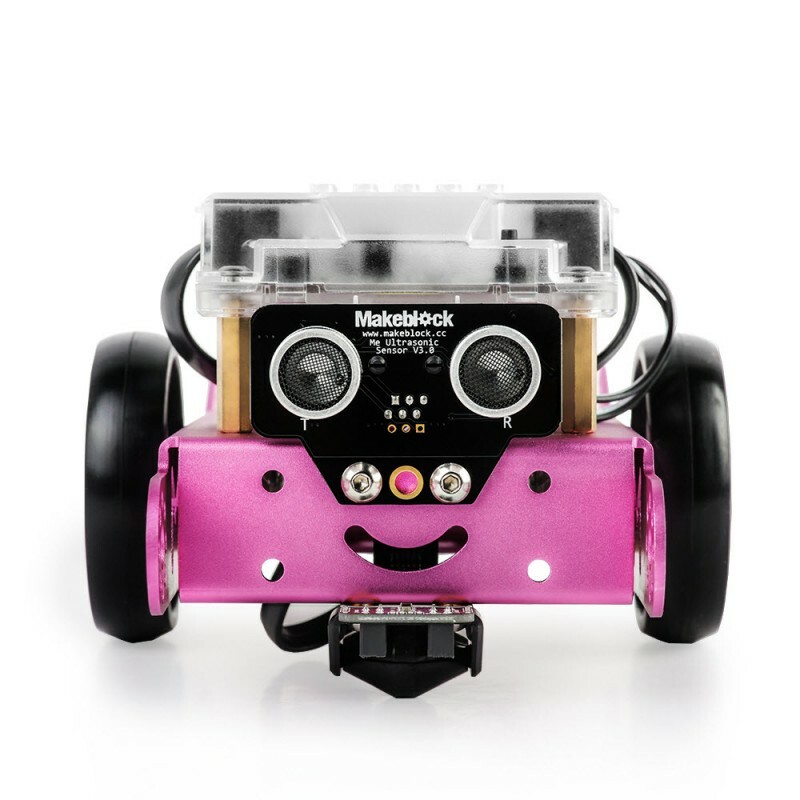 The pink mBot is due to be released by the end of November, just in time for Christmas.